With an afterword by Dietrich Blaufuss. Together, these two works still constitute the most comprehensive historical compendium of theological and church polemics with a particular focus on the disputes in the 17th century and in the first third of the 18th century. 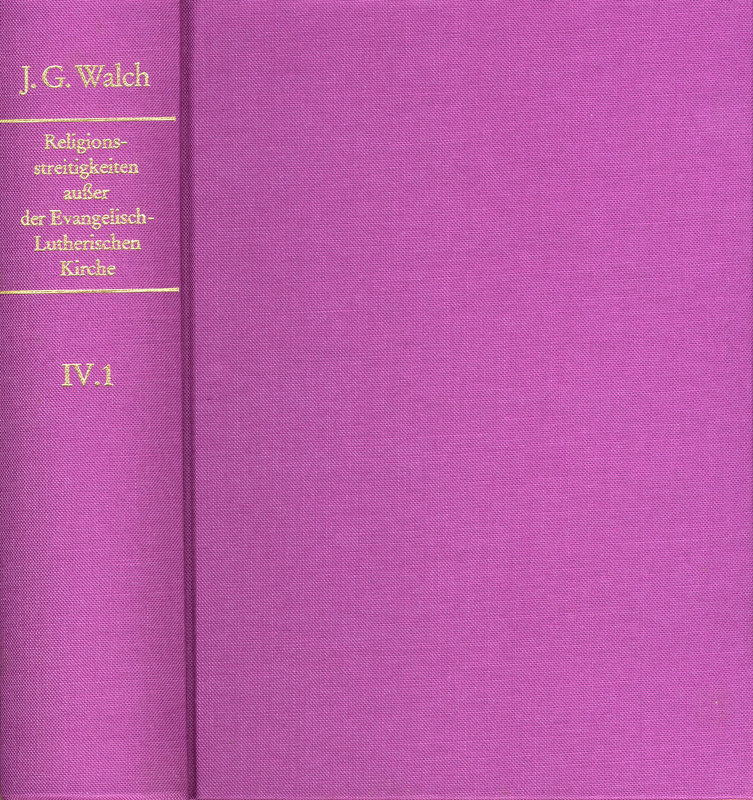 One of the works is a bibliographical guide and a broad discussion of the disputes between the Lutherans and adherents of the early church, adherents of the Reformed Church, Socinians, radical reformers, Quakers etc., thus the »external« adversaries. The second work, arranged in the same way, deals with the movements within the Lutheran church, which thus provides a key to the sources on Pietism.